Microlearning is buzzing around like it’s the new kid on the learning and development block. But is microlearning new? What qualifies as microlearning? Is it only for millennials? Does it replace all other styles of learning? In a 2017 survey by the Association for Talent Development (ATD), out of almost 600 talent development professionals surveyed, 38 percent used microlearning and an additional 41 percent planned to implement it within the next year. Although microlearning is becoming more popular as a method of delivering education and training, confusion surrounds this method. Read on to discover seven microlearning myths dispelled. 1. Microlearning is a new method for learning and development. Microlearning is not new. Learning in small bites is a well-established learning method that’s been around for several decades. However, it started gaining traction in 2017. Today, employees want quick access to information. People Google answers instead of pursuing more formal ways of learning. People use multiple devices to access information, such as laptops, tablets, and smartphones. People want to obtain information when it’s convenient for them. Because people seek access to information differently now than even ten years ago, microlearning meets people where they are now. Microlearning is not a fad or a theory. It’s a practical, moldable “learner-centered approach” that has deep roots. 2. Microlearning is only about length. Microlearning is commonly defined as learning in short bursts. But how long can microlearning be to be considered microlearning? Five minutes? Thirty minutes? A 2017 ATD survey found that microlearning should average 10 minutes and be no longer than 13 minutes. Although no hard and fast rules exist for determining the length of a microlearning module, microlearning should be as long as necessary to convey the desired skill to your audience. Microlearning should concentrate on focused learning, and not just time-frame. It would help if organizations focused on a specific result and only include information leading to that result when designing microlearning modules. Learning in small bites increases retention. These learning modules, although shorter than traditional training, must be designed to include information and results that the learner will retain. 3. Microlearning is about breaking up chunks of longer trainings into smaller bites. Microlearning is not merely breaking up longer trainings into smaller bites, often known as “chunking.” Although chunking has its place in learning and development, it’s not microlearning. Microlearning focuses on a specific skill through effective and efficient training. Each piece of microlearning must stand on its own as an independent module. You can watch one microlearning module and achieve understanding without needing to complete other modules. Conversely, you can’t just throw out a few minutes of education and call it microlearning. That’s a quick path to ineffective training. A course’s structure is equally essential in microlearning as it is in other training methods. What problem do you want to solve? What will be useful for your employees? What information do you want to convey? Develop a strategy and a plan for your microlearning development. What end result do you want to achieve? Incorporate posters, infographics, or simulations into your video. Mix it up. Variety will help with retention. 4. Microlearning should include games and badges. Microlearning doesn’t have to be flashy for people to engage. Although adding gamification techniques increases interaction in your learning modules, microlearning can take on many forms. Sometimes training with just text or FAQs sheets may be best. Other times, a whiteboard-type presentation or a checklist may be sufficient. Once you have developed your course structure, you can add in some bells and whistles like games and badges. The learning experience should give learners variety and relevance. 5. Microlearning is only for millennials. By 2020, millennials will constitute almost 50 percent of the workplace. Millennials are demanding more connection and purpose at work along with more personal development. And millennials are more apt to use their smartphones—for everything. Microlearning fits nicely into millennials’ desires, abilities, and lifestyles. Despite this, microlearning is not just for millennials. This technique benefits all learners, no matter the generation. Each employee learns uniquely. And each employee is bombarded with information. By creating small bites of directed, specific learning, all employees can benefit. By adding microlearning to your platform of training, you’re delivering particular results that suit the needs of individual education. 6. Microlearning can’t be used on complicated topics. Microlearning principles can be applied to any topic. The structure of the microlearning modules is critical, however. To deliver a compelling message, you must define your structure and your desired result. However, offering shorter learning modules with “anytime/anywhere access” can apply to even your more complicated business topics, such as marketing, finance, or even soft skills. 7. Microlearning replaces all other learning and development. Microlearning does not replace all other types of learning and development. It supplements other forms of education. Microlearning experiences can encourage learners to take deeper dives into longer, formal methods of training. 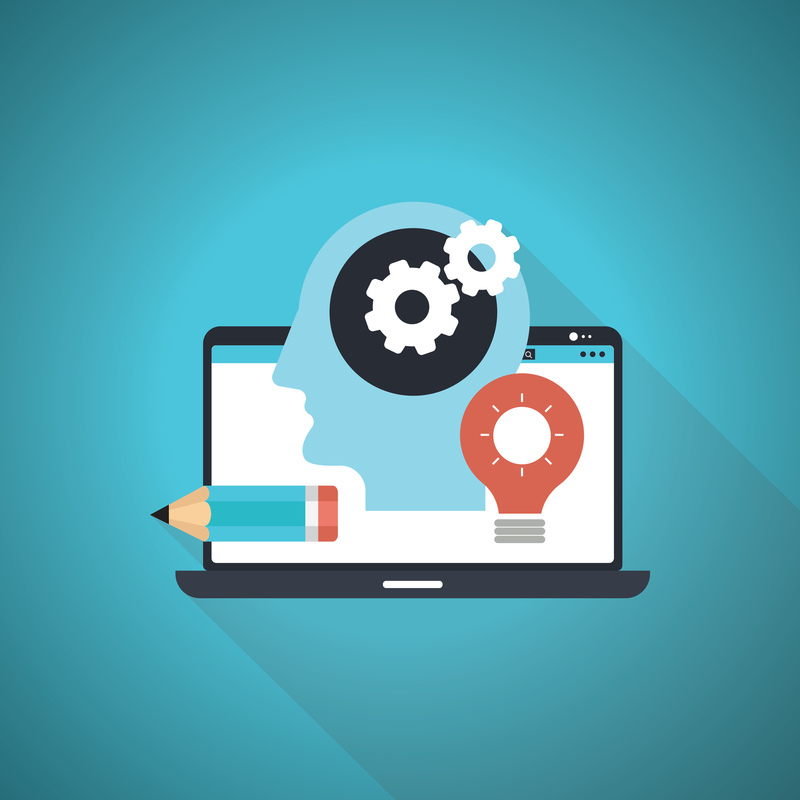 Microlearning can also reinforce skills learned in more comprehensive, structured training modules, such as e-learning or classroom learning. Microlearning is not designed for learning complex skills or for training an employee to become an expert in a particular field. However, incorporating microlearning into training and development enriches your already existing programs. Microlearning effectively supplements other forms of learning and development. It also meets us where we are today. The bite-sized modules help keep employees focused on the goal. Employees can learn on-the-go, through digital platforms accessed through laptops, pads, or smartphones. The content is specific and focused, allowing employees to learn skills quickly and develop professionally. Microlearning is more agile, budget-friendly, and adaptable than other forms of education. Integrating microlearning into training platforms will create comprehensive learning for your organization.